SINGAPORE - Car buying again drove up Singapore's retail sales which rose 6.1 per cent year-on-year in August, according to figures released by the Department of Statistics on Thursday (Oct 15). When the 43.9 per cent jump in motor vehicle sales is excluded, retail sales went up by only 1.3 per cent in August. Apart from car sales, only one other segment - medical goods & toiletries - saw double-digit growth, with sales up 10.9 per cent. 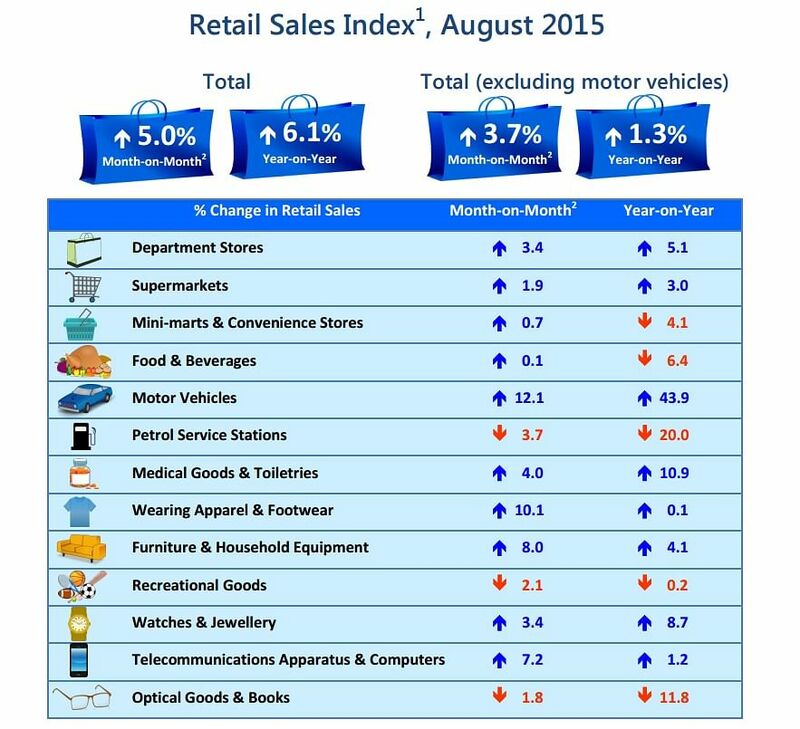 In month-on-month terms and seasonally adjusted, August retail sales were up 5 per cent over July. Excluding motor vehicles, they rose 3.7 per cent. Total retail sales value in August was estimated at $3.5 billion - higher than August 2014's $3.3 billion.